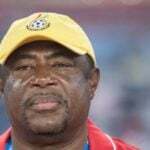 Some Ghana FA presidential hopefuls have been ''somersaulting'' to secure party cards of the ruling government in a bid to garner support ahead of a hugely-anticipated elections as the race takes a political twist, GHANAsoccernet.com Headquarters can report. 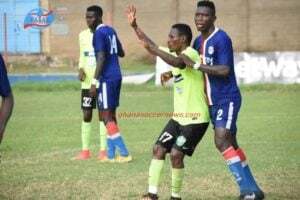 The aspirants, seeking the highest office of Ghanaian football, are determined to win over the ruling New Patriotic Party amid fears of a potential disqualification from the race. 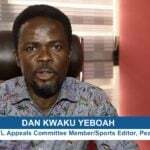 GHANAsoccernet.com can report the battle for the Ghana Football Association presidency will be a massive fight between the ruling New Patriotic Party (NPP) and the opposition National Democratic Congress (NDC). While FIFA frowns on governmental interference in football, its appears whoever want to succeed former FA boss Kwesi Nyantakyi may need the support of the ruling party to win the election. 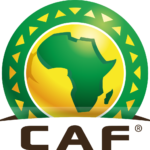 The candidates are pitching camps with the two major political parties to drive home their quest to lead the Ghana FA. Aspirants who have been tagged as sympathizers of the opposition National Democratic Congress (NDC), will have to dig deep to win the seat, GHANAsoccernet.com has been told. 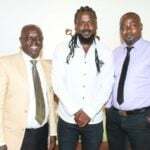 Apart from Ghana Premier League Association (GHALCA) boss Kudjoe Fianoo, who is a card-bearing member of the ruling party, having contested the Keta Parliamentary seat on the ticket of the NPP in 2004, the rest have remained coy on their political affiliation. 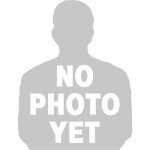 While the names of the aspiring candidates who have picked NPP party cards has been withheld by GHANAsoccernet.com for now, the country's leading football website can report the battle will be a political playground for the major protagonists. The Normalisation Committee holds the aces in determining who is eligible to contest for the top portfolio as their 'final and binding' decision will only BE RECTIFIED by the world governing body, FIFA.